27 March 2019 – Rector Gasinee Witoonchart along with Vice Rector for Student Affairs, Prof. Dr. Orapan Poachanukoon MD, Vice Rector for International Affairs, Assoc. Prof. Dr. Kitti Prasirtsuk, Assistant to the Rector for Student Affairs and Public Relations (Lampang Campus), Lect. Pimchat Rossutham, and Dean of the faculty of journalism and mass communication, Asst. Prof. Dr. Adchara Phanthranuwong met with Ms. Kazuko Maki Director of Agon Shu Foundation International Department, in the 2019 scholarship discussion for students of the faculty of journalism and mass communication and student from Lampang Campus, which has been provided for 18 years. This year, the scholarship ceremony will be held on October 2 nd – 3 rd , 2019. 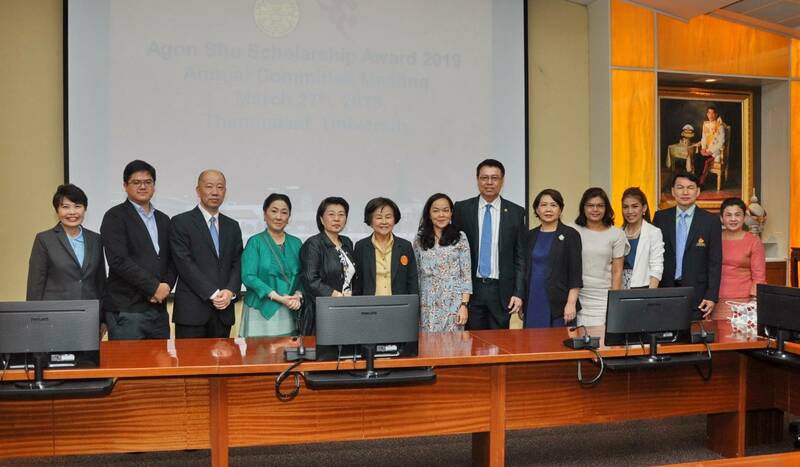 Agon Shu Foundation also responded to provide scholarship for Lampang students to visit Japan and the faculty of journalism and mass communication alumni, who got the scholarship and continue in journalism and mass communication career, to visit Japanese mass communication production. 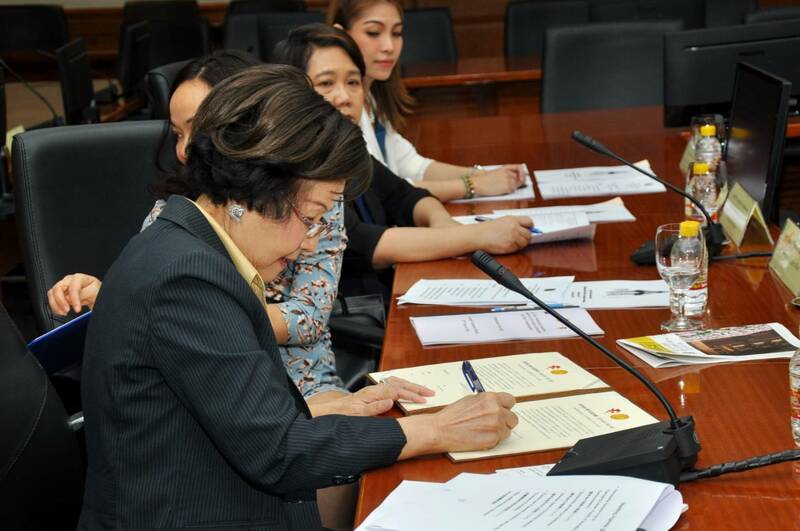 18 March 2019 – Thammasat University signed a Memorandum of Understanding (MOU) with the Government Housing Bank (GHB) to develop Senior Complex at Pattaya Campus in accordance with the government policy on senior society hospitality. The ceremony took place at Pridi Banomyong Meeting Room, Dome Building, Thammasat University Rangsit Campus. Rector Gasinee Witoonchart and Mr. Chatchai Sirilai, CEO of GHB, presided over the ceremony. 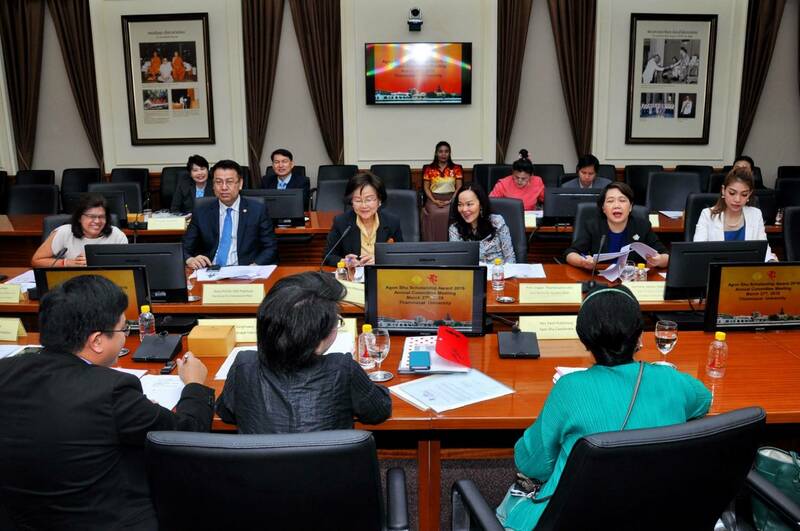 This collaboration aimed to explore the possibility to build senior residence at Pattaya campus and to develop Senior Complex Project or Lakeside Premiere Complex Project for the Eastern Economic Corridor Medical Hub (EECmd) at Pattaya Campus. This MOU represents important cooperation between Thammasat and GHB to develop the senior residence and services at Pattaya campus in response to aging society in Thailand.